Blepharoplasty often referred to as simply “eyelid surgery”, is a procedure that helps reduce the appearance of droopy, tired looking upper eyelids. 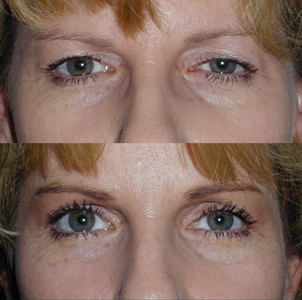 Blepharoplasty can be performed for both cosmetic and functional purposes. When they droop far down enough, eyelids can create issues with vision. 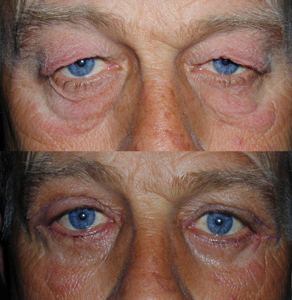 In these cases, blepharoplasty is considered a medically necessary procedure and is commonly covered by your insurance. The procedure itself is fairly quick, and you will be able to go home the same day. You may undergo general anesthesia, but not every patient does this. To begin the surgery, your surgeon will create an incision. The incision will be in the crease of your upper eyelids. So ultimately there will not be a scar. Through the incision, your surgeon will tighten muscles, remove excess fat, and remove excess skin. Sutures will close the incisions, and be removed the following week. You will see results gradually as your eyes heal and swelling subsides.